“The circus arrives without warning. No announcements precede it. It is simply there, when yesterday it was not. Within the black-and-white striped canvas tents is an utterly unique experience full of breathtaking amazements. It is called “Le Cirque des Reves,” and it is only open at night. But behind the scenes, a fierce competition is underway–a duel between two young magicians, Celia and Marco, who have been trained since childhood expressly for this purpose by their mercurial instructors. Unbeknownst to them, this is a game in which only one can be left standing, and the circus is but the stage for a remarkable battle of imagination and will. Despite themselves, however, Celia and Marco tumble headfirst into love – a deep, magical love that makes the lights flicker and the room grow warm whenever they so much as brush hands. A secretive circus and a potentially deadly game? Once I read a blurb about this book I couldn’t resist giving it a try. This story remains mysterious and enigmatic throughout the entire novel, making for quite an intriguing atmosphere. It almost felt as though the book itself was one grand circus adventure. Often times in a circus performance you’re not really sure how or why everything is happening, yet the experience is wonderful nevertheless. That’s how this book felt to me, and I loved the overall tone it had. 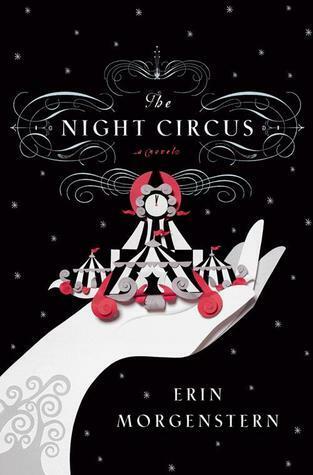 It was a unique balance of dark, whimsical, charming, and magical elements that worked together really well with the circus setting. I can see how it might not have been effective in some circumstances, but it definitely fit perfectly with this one. Moreover, I really liked how the characters were easy to relate to despite their unique and strange abilities. I especially liked the incorporation of Bailey’s story, since he was simply a normal boy and thus provided more of an outsider’s perspective of the circus. Also, the way his story line was fused with that at the circus towards the end of the novel was quite clever and really well done. I sort of predicted that he would end up being associated more closely with the circus in some fashion eventually, but I never predicted that it would happen in the way that it actually occurred. The pace of the novel was fairly slow, and did seem to drag out in some places. There were moments of rapid action and intrigue, but for the most part the story was told in a more meandering manner. For example, there were a lot of sections that solely described the circus itself and specific tents within it. I thought that some of these were really interesting- bottled memories, a maze of clouds, and even kittens leaping through hoops- but a lot of time I just wanted to move on with the actual plot of the story. Overall, I really enjoyed this novel. The writing is beautiful, the concept of the story is extremely creative, and the magical atmosphere it exudes is perfect for these winter months! My Rating: :0) :0) :0) :0) 4 out of 5 smileys. Would I recommend it to a friend? : Definitely! Have you ever read this book? What did you think of it? Let me know in the comments section below! I am obsessed with this book especially the audiobook the narrator really brings it to life. I do feel like the pacing could have to do with the time period of the setting. Poppet and Widget are my favorite characters (at least Twin characters) of all time! I wish I could have a Night Circus Themed party my dream come true. No problem I really like your blog and Night Circus is on my top ten favorite books ever so I can’t resist commenting on a post with it! I love this book so much! It’s just so beautifully written and the character development was great! I love this book, and it’s so perfect for winter! it did start off slow but definitely picked up towards the middle/end. I’m really glad it seems that the beginning of the book is slow and then it gets more interesting. I’m currently listening to the audio version, and as great as the reader does the characters, I cannot pay attention to the book. I am about two hours in and theres thirteen and a half.